School has been in for a couple of weeks now and things have been pretty hectic. Between school shopping, running errands, weekend activities, and everything else that comes in between, sometimes there may not be enough time for meal planning. Mondays are the worst because that’s when our family is trying to get back in the swing of things and sometimes it’s a little difficult. Most Mondays I get really busy and forget to plan for dinner. I hate having to pull things together at the last minute and not having the best option available for my family to eat. That’s why we now have Manwich Mondays! It’s a great way for us to have an easy-to-make, great tasting family dinner around the table. My family loves the hearty sauce, with its sweet and tangy taste. My son loves his messy-licious meal that he can enjoy with both hands and not have to use a spoon and fork (saves time with the dishes). Even with all of the hectic-ness (is that a word) of Monday, we can all slow down and enjoy a meal together, sans electronics. Now that Manwich sauce has three tasty flavors (Manwich Original, Manwich Bold, and Manwich Thick & Chunky – Manwich has no meat!) with quality ingredients that I can add to meat, sandwiches, and even pastas, there are quite a few new recipes I’ll be trying out. 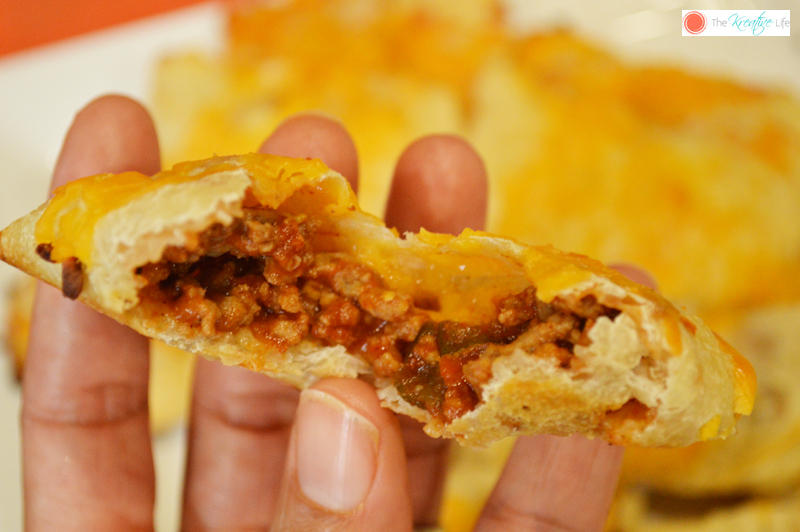 Here’s one that I want to share from our most recent Manwich Monday that you can make for your family. Enjoy! Ingredients 1 Lb. Extra Lean Ground Beef 1-15 Oz. Can Manwich Thick & Chunky 1 Can Refrigerated Pizza Dough, Thin Crust 1 Lb. 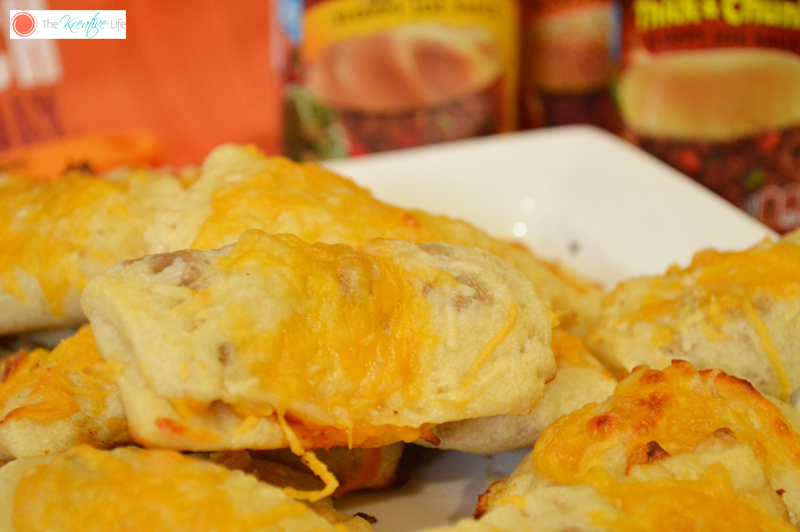 Shredded Cheese, Pizza Blend ½ Tbsp. Garlic Powder *Optional: Pizza Sauce for Dipping Directions Preheat oven to 400°. Over medium heat, in a skillet, fully cook meat and drain off excess grease. 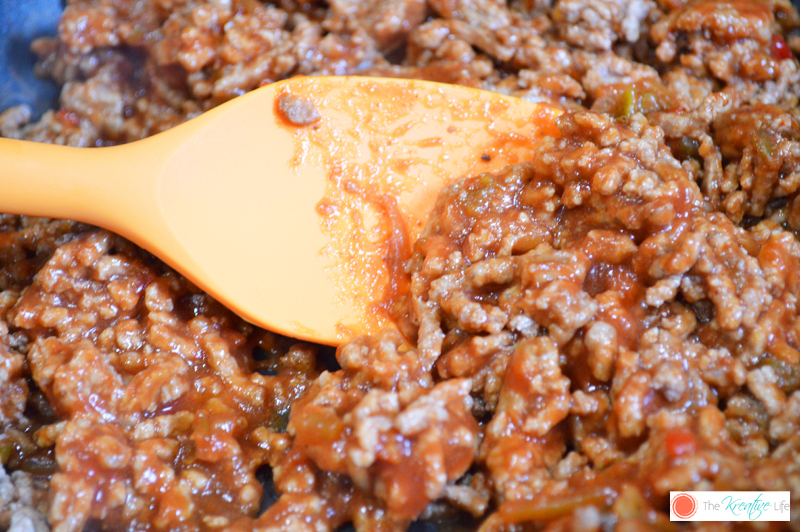 Add Manwich sauce to the skillet. Unroll pizza dough onto lightly greased baking sheet. Using a pizza cutter, slice the dough into 3” square sections. Place one tbsp. 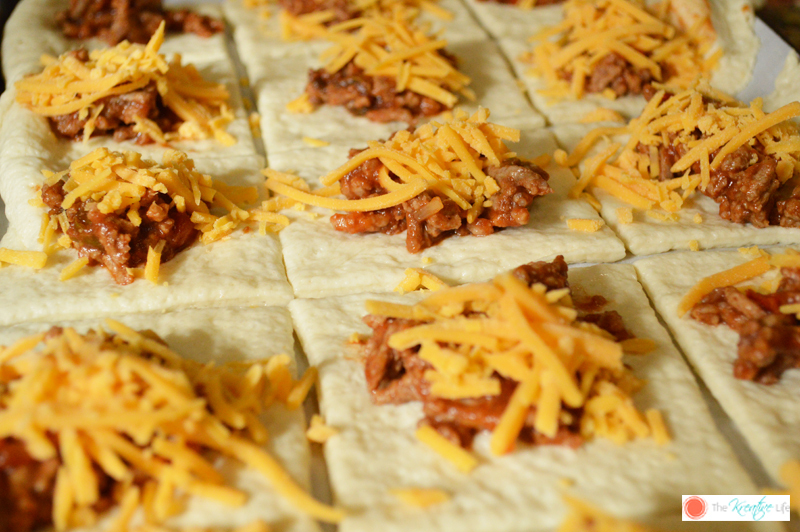 of meat into the center of each dough section. Top with shredded cheese. Fold one end of the square over to the other. Press the edges down with a fork. Sprinkle the top of the dough with remaining cheese and garlic powder. Bake for 10-12 minutes or until top is golden brown. Serve hot with pizza sauce on the side for dipping. To find Manwich products in a store near you, make sure you check out the product locator on the ConAgra website. 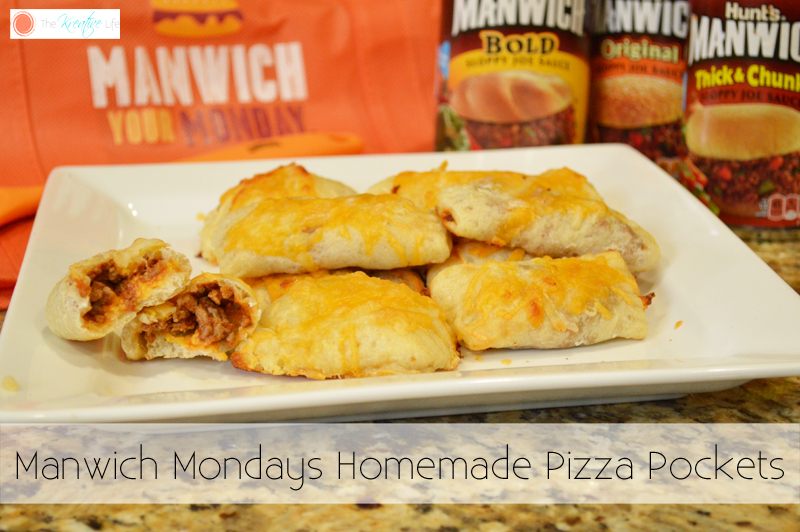 You can use the sauce to make some of these tasty Manwich Monday Recipes. If you want to keep up with what’s happening with the Manwich line, make sure you follow them on Follow Manwich on Twitter and subscribe to the Sign-up for ReadySetEat eNewsletter. Wow, It’s looking delicious. I have to try this recipe for sure. Hope so my hubby and my kids also love it. Can you tell me which type of cutter do you use for the cut this? Thanks in advance for your answer.